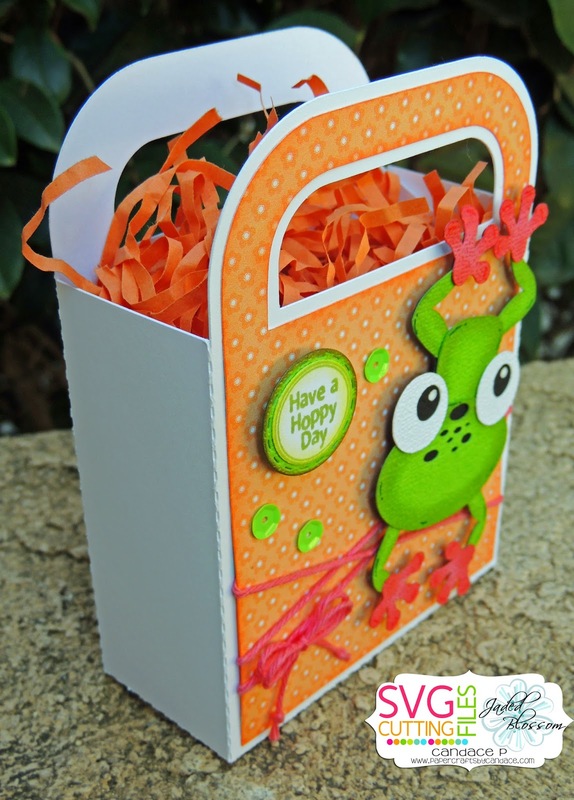 Paper Crafts by Candace: Have a Hoppy Day! Happy Tuesday! 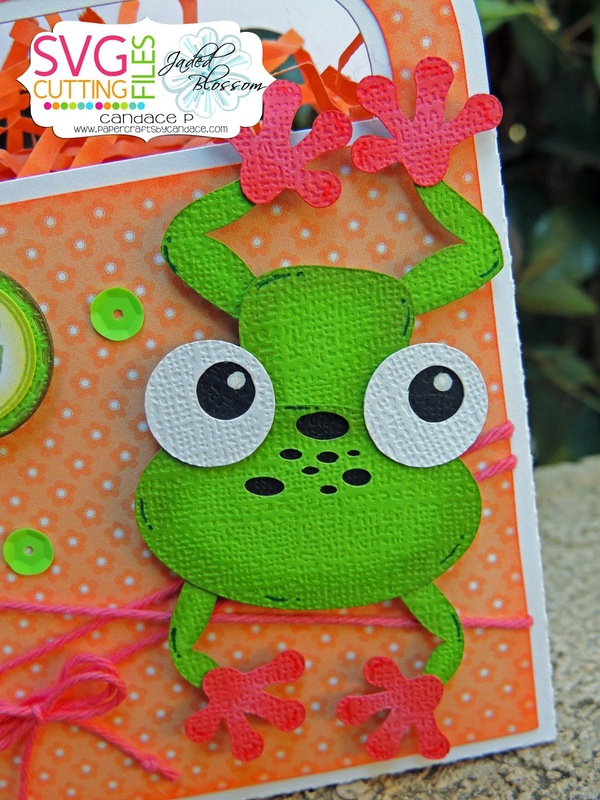 It is my day over at SVG Cutting Files and there is a new ADORABLE Frog file which will be available Friday!! 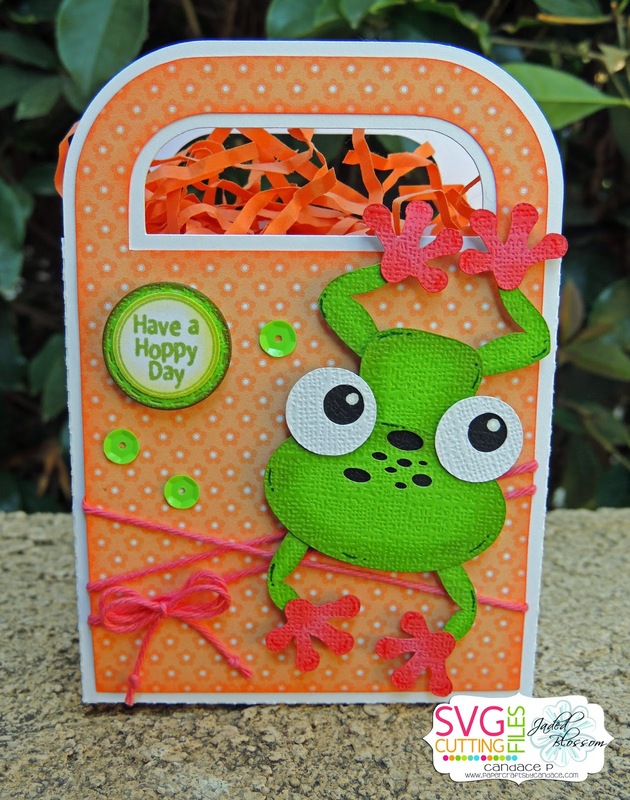 I used this new frog on the Handle Bag which is also from SVG Cutting Files. Have a Hoppy Day is from Jaded Blossom's Forest Animal Candies. Here is a close up of the frog..
And a side view of the bag.